When Josh's dad becomes the live-in caretaker at The Retreat Hotel, Josh is excited to explore the dilapidated building that will be his new home. He soon discovers, however, that room 213 is occupied by a very unwelcome guest—the ghost of a sinister gangster who refuses to check out! Who is the long-dead gangster? And why does the old bellhop—who's worked at the hotel for decades—not want Josh nosing around? Are Josh and his dad in danger if they remain in the hotel? Follow Josh as he dares to explore the haunted hotel and discover its incredible secret! 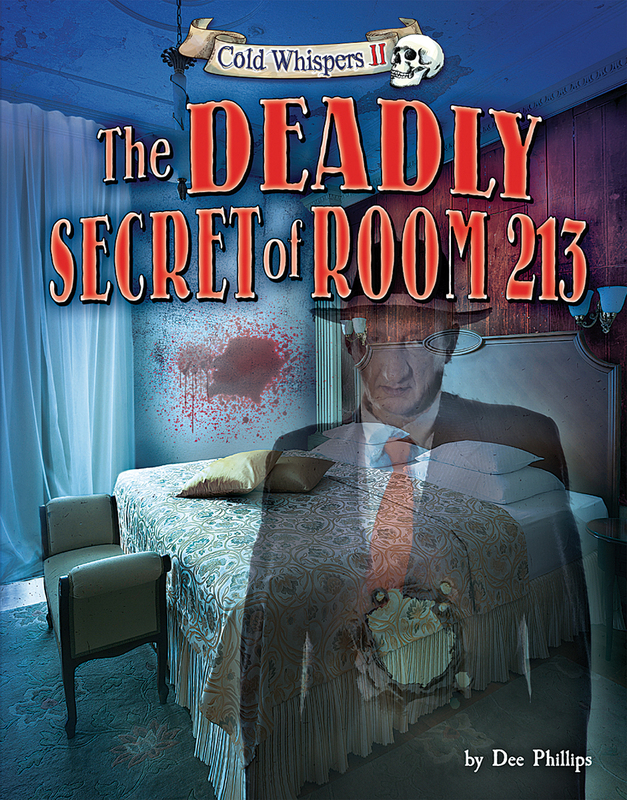 The Deadly Secret of Room 213 is part of Bearport's Cold Whispers II series. This bone-chilling book is the fiction companion to Haunted Hotels from Bearport's best-selling nonfiction series Scary Places.